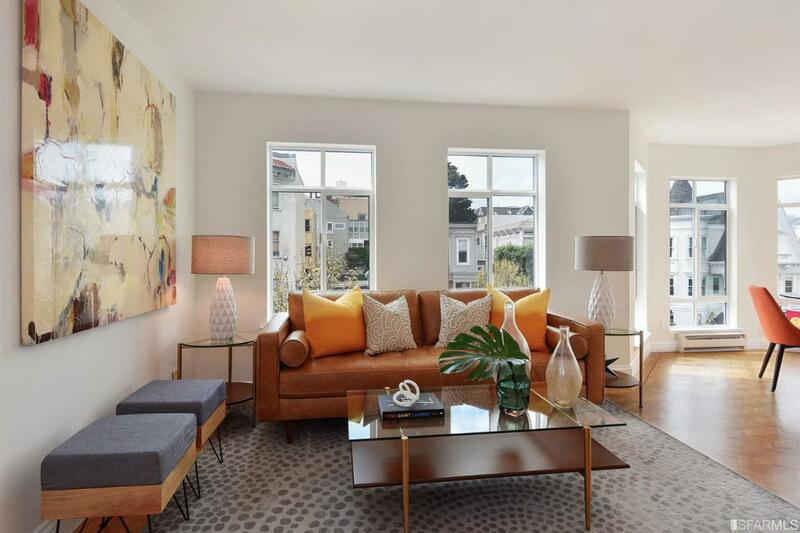 This stylish two bedroom, two bath contemporary condo is located on the popular Divisadero Corridor. 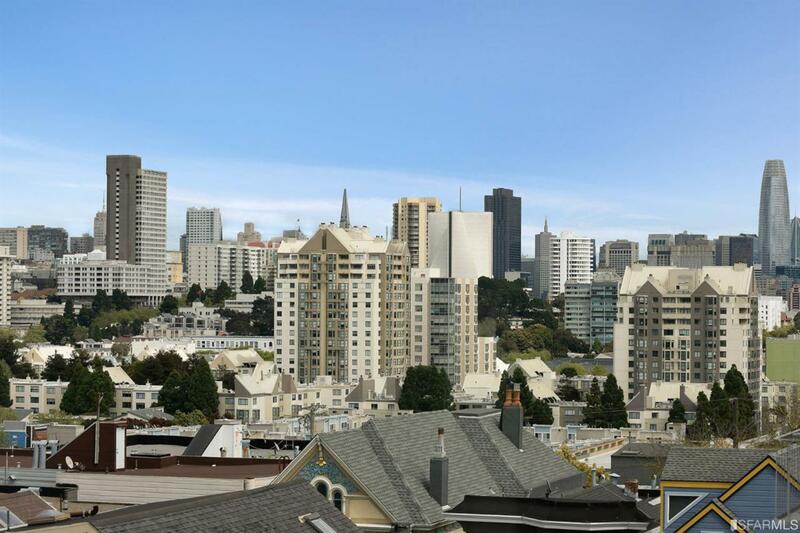 This top floor unit has a sleek remodeled kitchen with granite, ample cabinets and quality stainless appliances. The living room/dining room combination has a wood-burning fireplace and views of City lights and the Sales Force building. The master bedroom is spacious and has chic bath with shower over tub. The second bedroom is generous and both bedrooms have walk-in closets. Full size washer and dryer in unit. 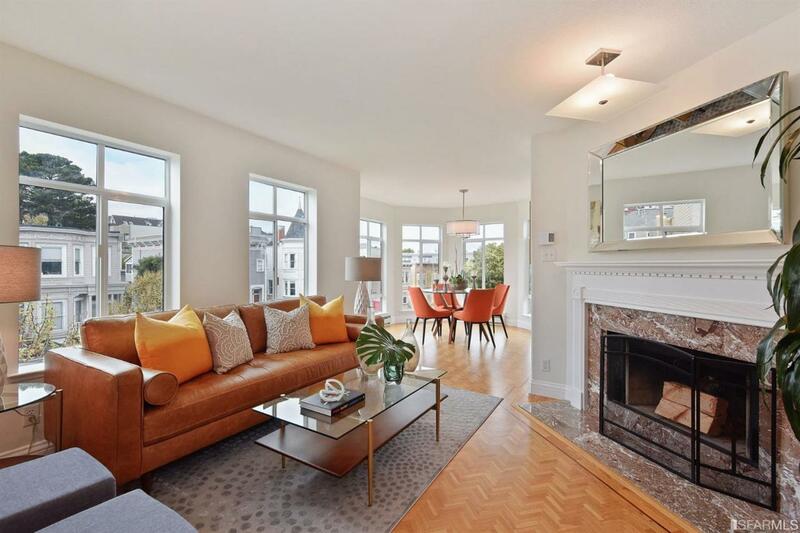 Hardwood floors, tons of windows, designer paint and light fixtures. One car garage parking, nice common deck area with BBQ and furniture. 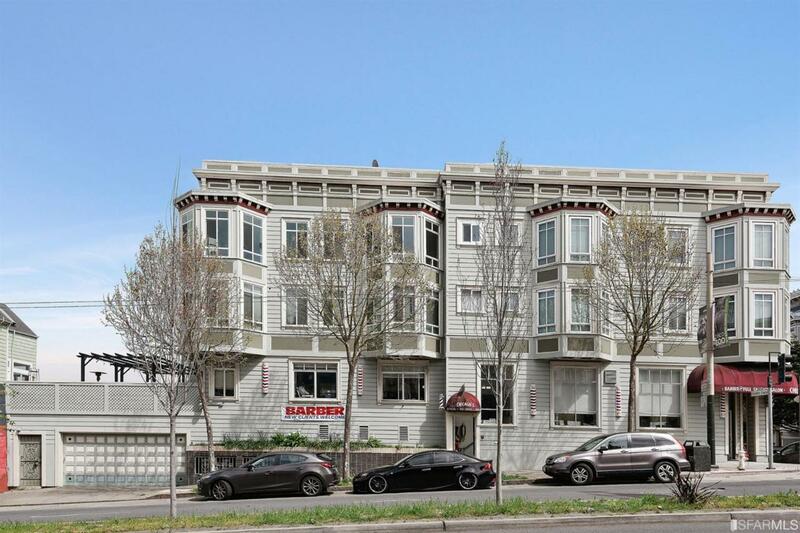 Great location, close to Bi-Rite, Che Fico, Farmers market and Alamo Square. Very cool! Listing provided courtesy of Donna Sullivan of Zephyr Real Estate.